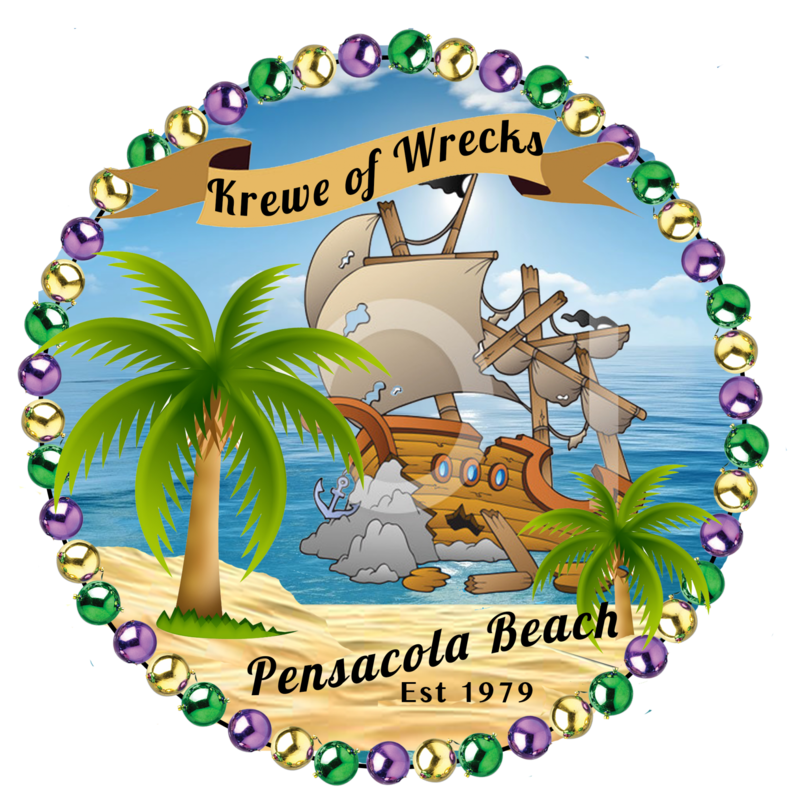 On Sunday, March 3, 2019 at 2 p.m. (rain or shine) the Krewe of Wrecks Mardi Gras Parade will roll on Pensacola Beach. The parade starts at Via de Luna & Avenida 10 and proceeds to Gulfside Pavilion. Event includes 50 units of oversized floats with generous riders, marching units, Krewe of Wrecks royalty. Come early and plan to stay late. In fact, just plan to stay all day. Eateries are open and welcome you or pack a lunch. Bring your friends or make new ones. Mardi Gras on the Island is one of the biggest events on Pensacola Beach and attracts a huge crowd but parking is limited. Kids of all ages will experience the thrill of catching beads and trinkets. Special Weekend Packages are available from island innkeepers. Let the magic of Mardi Gras transform you into an islander, if only for a few days.